Thirty-one hours after a real estate salesman was killed inside a model home in a new community in Hanover, Maryland, Anne Arundel County police announced a teenager had been taken into custody for the murder. Police say Dillon Nicholas Augustyniak, 18, of Jessup, Maryland, went into a model home on the 7500 block of Newmanstown Drive Wednesday and shot Steven Bernard Wilson. Police believe Augustyniak planned the attack and came to the home to rob Wilson. In charging documents, police allege the teen stole Wilson's phone and laptop and investigators believe he tried to sell the gun he used in the killing. A woman who did not want to be identified said her boyfriend bought a cellphone Wednesday from Augustyniak. "I just had got a feeling because there was a picture of a woman and two kids on the phone as the home screen," the woman said. "When I read up on the story online, I looked up Steve Wilson, I looked up his Facebook and I saw his family and I compared the pictures on my Android to the ... iPhone and it was his phone." It wasn't immediately clear if Augustyniak had an attorney. Friday calls to the suspect's possible relatives went unanswered and no one answered the door at their home. "I know the parents. They're very nice people. They're actually a little leery with their kids," neighbor Bruce Klebe said. Police had no indication that other model homes or real estate offices were being targeted. Police Chief Timothy Altomare portrayed the robbery and slaying as impulse meeting opportunity on the part of a violent criminal. "While I won't say that real estate agents shouldn't be vigilant and concerned, as I think everyone should for their safety, we have no indication that there's a particular threat to the industry at this time,'' the county police chief told reporters Friday. The 33-year-old married father of two young children was pronounced dead at the scene. Police say Wilson was a sales and marketing representative who was working out of the model home. 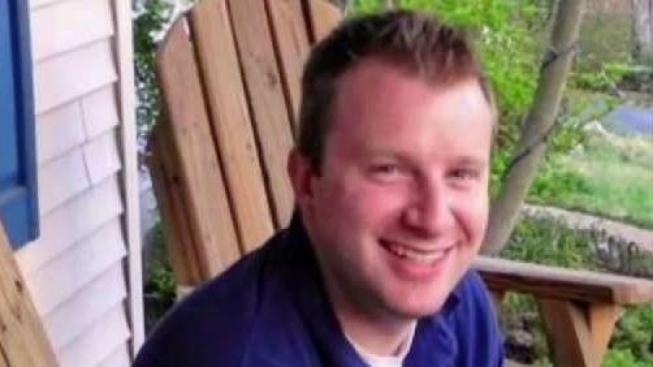 Wilson's family described him as a "loving husband, father, son, brother, and friend." A spokesman for the parent company of Ryan Homes, Virginia-based NVR Inc., has declined comment. Augustyniak has been charged with first-degree murder and armed robbery. During a news conference Friday morning, investigators thanked the community for their tips, crediting those tips for helping them close the case so quickly. "What brought this case home in 31 hours was the involvement from the community," Altomare said.